So here we are, 2015, and once again, I have no resolutions, no "word" to guide my creativity, no "issues" that I need to deal with (ones I'm willing to share anyway), and aren't I lucky. Both of our children were able to join us for Christmas which was such a joy as both have punishing work schedules. I am just so glad to see them when I can. I did make some little gifts for people in the shape of earbud cases. They sew up very quickly and I find mine very useful. They're also wonderful to use up bit and pieces of fabric that you don't want to get rid of but can't think of a use for. Before Christmas we had such wonderful, picture perfect weather--blue skies and fluffy snow everywhere. We were all pumped for snowshoe expeditions and maybe some skating. Then Christmas Eve it started to rain, and by the next day, it looked like this. 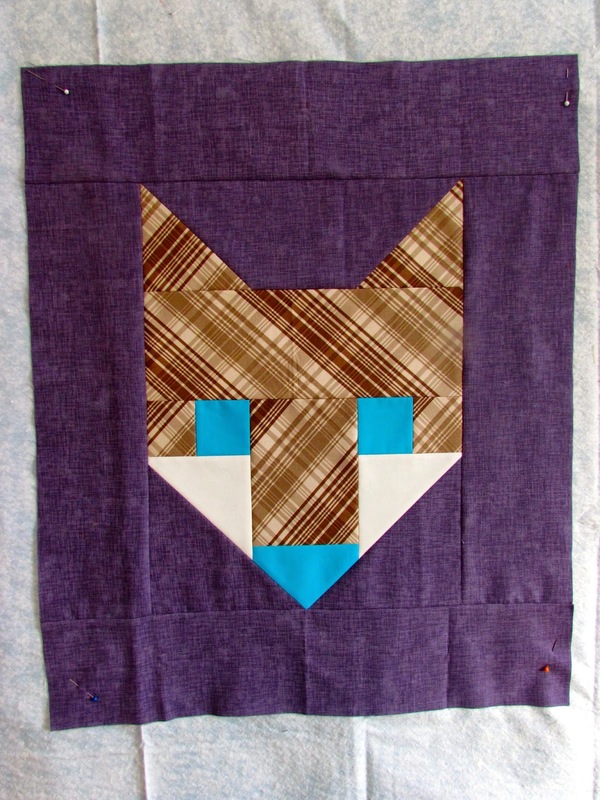 The last few days I've been puttering around with Elizabeth Hartman's fox pattern. 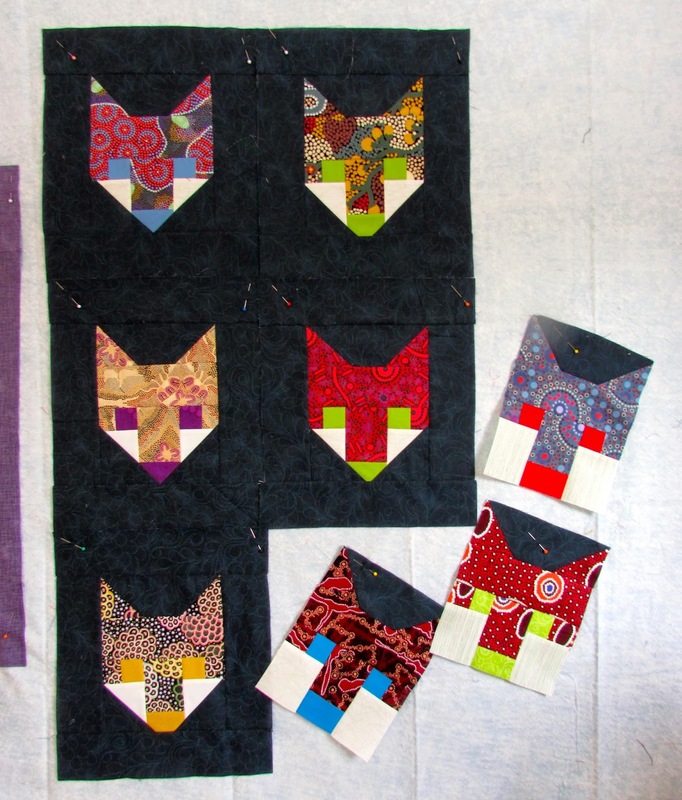 I bought the giant fox and made one block, but found it very fabric intensive. I decided to spend some time reworking the numbers to make a more scrap friendly version. You can just see the single block edge on the left, proof it IS big! So far, I'm using up all sorts of leftover bits of jelly roll. I will have to go get some more of the navy background fabric, but that I got at a local shop, so very easy to get more. 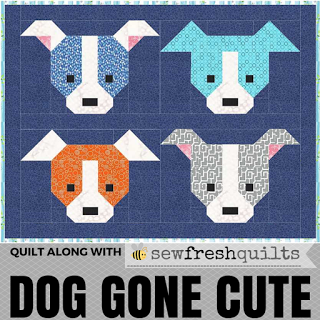 I'm thinking this might be a baby quilt for an expected infant. 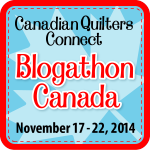 Now that the deep freeze has hit I have more incentive to stay indoors and sew! Love your little ear bud cases. So cute. Isn't it wonderful when the family is all together, love it! Those ear bud cases are so neat!!! Love the fox though ...same weather here...cold! Your mini foxes are super cute! And you are so right.... This is cold weather... Sewing while it's snowing! Do you have a link or other info you could share for a pattern for the earbud cases? They are adorable!